Enterprise apps are now big business and the reason for this success lies in utility and cost effectiveness. It is relatively easy for enterprise IT now to roll out highly specialised and even throw-away apps intended for a particular event or situation. These specialised apps can bring strong utility for those employees the apps were built to serve. The use of RTC (Real Time Communication) is fast becoming more operational in day to day business use. RTC tools are making their way into the enterprise as IT leaders look to deploy RTC applications to enhance employee collaboration and improve productivity. This is especially beneficial for sales teams, as RTC tools can provide various benefits that engage the team and also their customers. Thus, making sales easier, effective and time sufficient. RTC app features such as instant messaging (IM), Internet relay chat, video conferencing, teleconferencing, and robotic telepresence can provide productivity in areas such as customer relations, proposal and team leads for sales effectiveness. Customer Relationship Management is a key component to any sales person and the right RTC engagement tools can help create better customer profiles and provide analyse on buyer’s behaviour. Other features such as social media and mobile surveys help to provide better and faster feedback from your customers and equip the sales team with sufficient data for future sales engagement. Sales teams equipped with product catalogues, presentations and interactive demos on their app also help customers feel more engaged with their customer. These features can provide faster feedback data to stock levels and enhance real time information that make customer make better informed decisions in the sales circle. Instant messaging and conferencing features also help in event management and lead tracking scenarios where instant feedback is required or providing quick data turnaround. Good communication between sales teams and customers can only enhance the sales experience and the instant messaging features will provide a better engage tool. The sales journey can also be enhanced with real time reporting and enhanced project management features. Real time reporting can provide quick turnaround on proposals and contract management. This helps closing sales much quick and effective with customer getting faster feedback and responses from the team. Project management becomes easier as task managing and delegation becomes more streamlined and easier to implement by increasing team awareness, tracking and planning. RTC tools are also providing internal benefits such as quick resolutions, direct channel to internal colleagues, less email overload and employee satisfaction. Teams group chats that serve as an instant communication channel to address and directly solve time-critical topics. Teams can discuss important things in real-time and jointly make an informed decision on a topic no matter where team members are. This also leads to direct channel for instant colleague feedback. As teams often need immediate feedback from colleagues, having a IM/messenger service ensures colleagues receive time-critical messages. Email overload can be very time consuming. So, decrease of internal email leads to faster external communication and better response times to customers and colleagues. Also, another internal benefit is employee satisfaction. The right sales enablement tool with sufficient features allows employees ease of use, a casual-style group chats engage team members and increase the satisfaction of the team morale. Real Time Communication is offering enterprise apps the next step in evolution for both internal and external audiences and it will be exciting to see how all of this and other technologies and services converge to create the ultimate unified communications experience. Our prediction for real-time communication is much the same as it is for the majority of tools being embracing mobile app development to improve their business strategy. 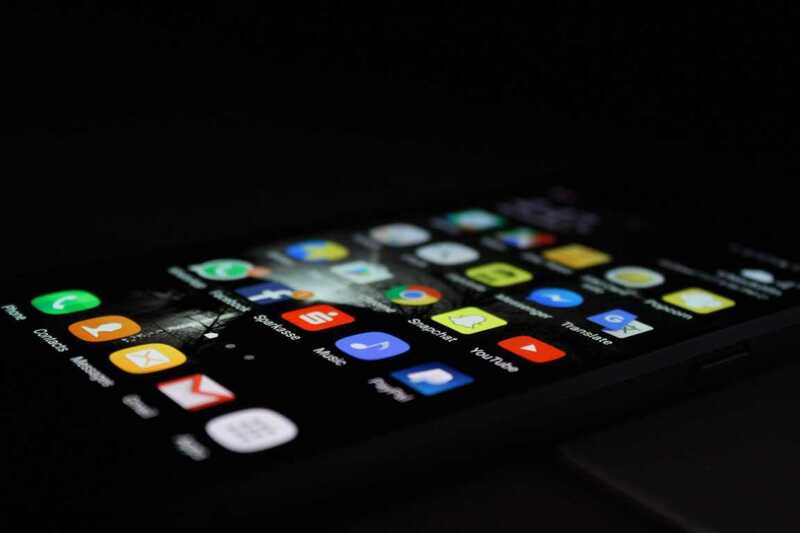 As long as developers appreciate their audience’s desire for an app that allows them to simply and efficiently manage what is important to them, whether that be social or business, the app market is only going to keep on growing.